Tired of paying expensive cable bills? With Clear TV Key, you can get HD network channels without paying for it. Because the cable and satellite companies send the programming in a compressed format, Clear TV Key will actually provide a better picture than you can get with cable or satellite. 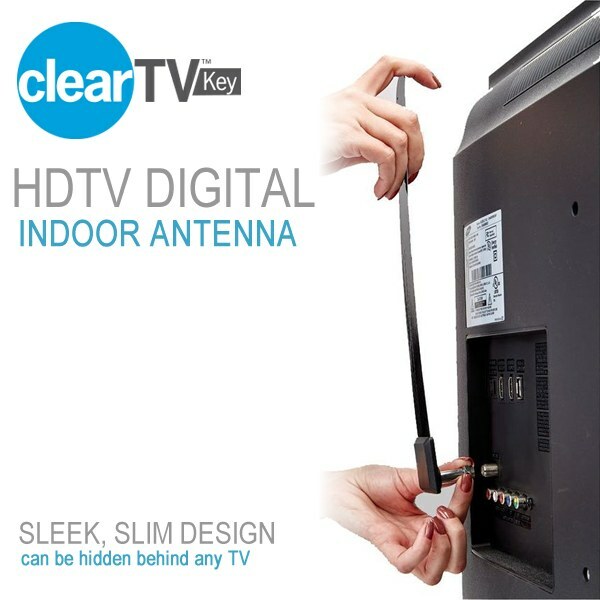 Clear TV Key is compatible with all digital tv&apos;s. It&apos;s extremely easy to install. No tools or programming required. Simply, plug it into the back of your tv and it&apos;s ready to go! Unlike satellite subscriptions, the Clear TV Key won&apos;t go down when the weather is bad. You can watch TV all day, every day without interrupted service. The unique design fits discretely into the back of your TV so you don&apos;t have an ugly antenna lying around. 32 people found this helpful. Was this review helpful? fittings do not fit together, so I could not ,hook it up. easy to locate onto tv. Channel selection functioned well. Range was less than my current RCA square module...which was disappointing...and therefore I returned the key. not as its advertised. i cant pick up the channels without moving it all around, on its side, stacked on boxes in every position imaginable. then can still only get half the channels. move it around another 10 or 15 minutes and get the others. Not happy with purchase it didn&apos;t work. No channels found. Can&apos;t get it to work. Loving it. Perfect for my needs.